It was not a problem with the TV, it was a problem with the visual processing in my brain. For a few seconds it had failed to recreate the image at the bottom of this article. I was reminded of the bloke referred to in the title of "The Man Who Mistook His Wife for a Hat" by Oliver Sacks. The patient had no apparent optical/physical problems. He just could no longer interpret the signals coming into his brain from his eyes. When he got up to leave he grabbed his wife's head, thinking it was his hat. The shapes no longer made any sense. There was a signal processing failure. The handle of our teapot had an accident. I delayed ordering a new one, though I do love the design and feel of it. So, in the meantime, I got used to making the tea with the broken teapot, cupping the scorching body with my hands. Eventually I did order a replacement and for days I forgot that the new teapot had a handle and held it awkwardly, as if it didn't. "chi va con lo zoppo impara a zoppicare"
A rough translation is "he who hangs around with people who limp, will learn to limp himself." But I had learned to limp all on my own. And I wonder in what other areas I've learned to limp when I'm perfectly able bodied/minded? Sometimes things come together in a perfect triplet. Thing 1: The cover of this book, designed by Tomàs Almeida, struck me as soon as I opened the package. The plants, the fruits and the flowers. The snake, the fairies, the birds. Thing 2: Then by chance I found a golden bookmark. I don't know where it comes from. It is 0.5 gram fine gold 999.9 from Mistubishi Materials Corporation. Gold plate I imagine. If fits perfectly with the book's cover and contents. Thing 3: The actual novel is wonderful. I not a fan of Neil Gaiman, but his recommendation on the cover is true. ...Sometimes things come together in a perfect triplet. Sometimes not being able to sleep has its compensations. 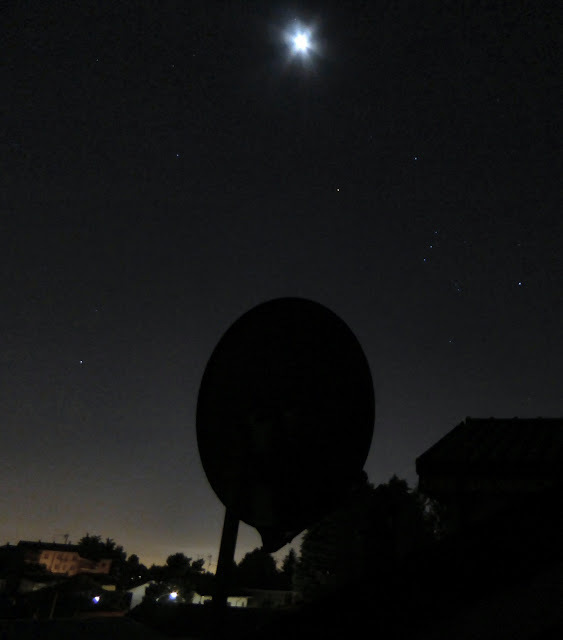 I got up at 4:30 this morning and had breakfast on the balcony, under the Moon and under Orion. I heard a train passing, all that was missing was the sound of a dog barking. Then I went downstairs to get the cat from the garden and smelled his fine fur as he purred. Hmmmm. Of course, at work, by 16:00 I was feeling tired, must sleep longer! 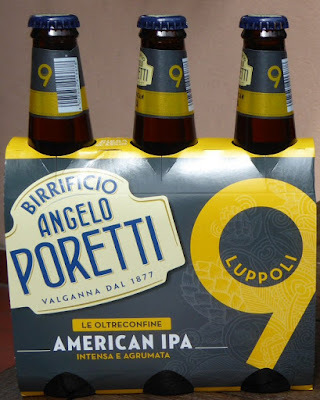 It made me smile to realise that this is an Italian, American, India, Pale Ale invented in England. A pretty international beer eh? I don't know why, but when I was 15 Gregorian chants and early religous music got hold of me and never let me go. I used to go to the library in Biggleswade and borrow LPs of this music, record it onto audio cassettes (piracy!) and listen to the music at night alone in my bedroom. It is often great music, soul touching. That must be the reason. I didn't know Latin then and I don't know Latin now. 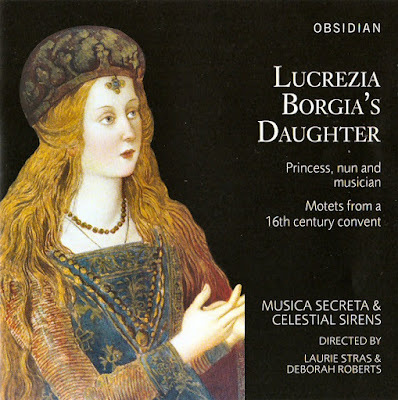 All the motets are wonderful but the last track Angeli archangeli troni is amazing. I listened to it four or five times before reading the words and translation. I almost wished I hadn't. Just in as the Bach masses it is best to listen to the music of the voices and instruments without understanding the words.